We have almost completed the build of our new Simulation Centre - The Sim Bay. 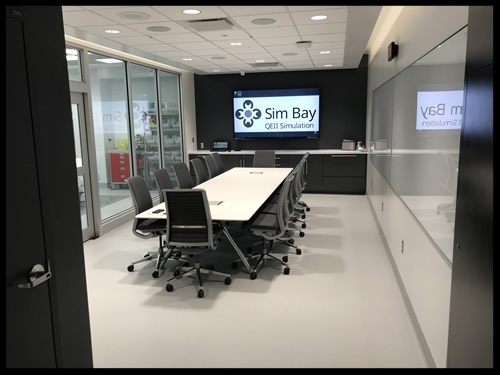 The Sim Bay is one of three simulation areas operated by the QEII Simulation Program, part of the Nova Scotia Health Authority. 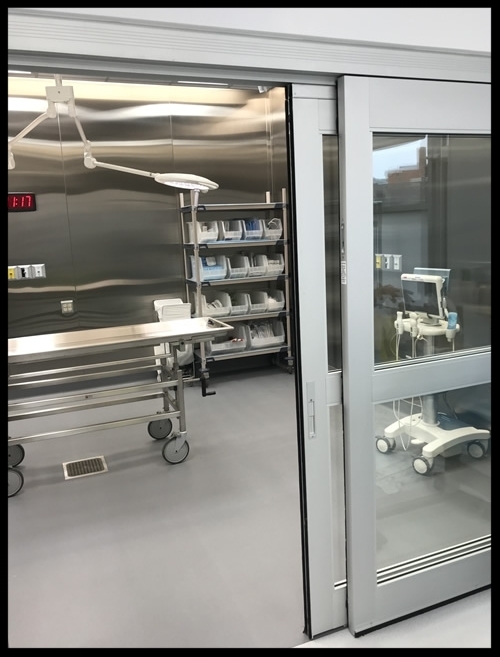 It was built as a hybrid model that combines a high fidelity simulation (dry) lab and a cadaveric (wet) lab. 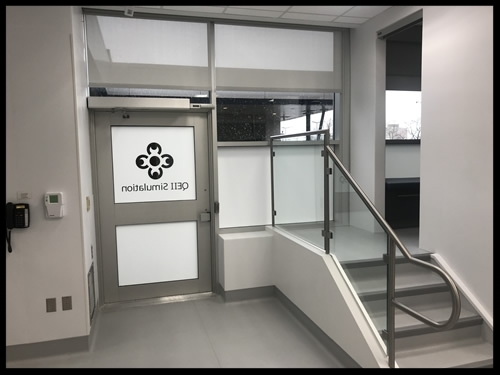 Below are some pictures and brief descriptions of the facility, including design ideas used in hoping to optimize the relatively small space and making it as functional as possible. Not seen below is our storage area, which is found beside the centre. 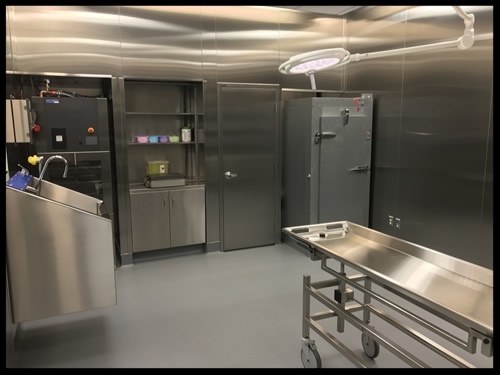 You always hear about how you need more storage, and we fortunately have been given ample space, giving us the ability to keep our new facility clear of clutter. - The Sim Bay Coordinator and Sim Champion, Donna Warren. She has worked tremendously hard this past year to make this project happen and be the success it has been. - The QEII Foundation. Without their donor supported funding this project never would have come to fruition. - Carmelle d’Entremont, Dr. Brock Vair, Marilyn Girouard and the rest of the QEII Simulation Program family. The front entrance of the Sim Bay is located from inside the hospital. 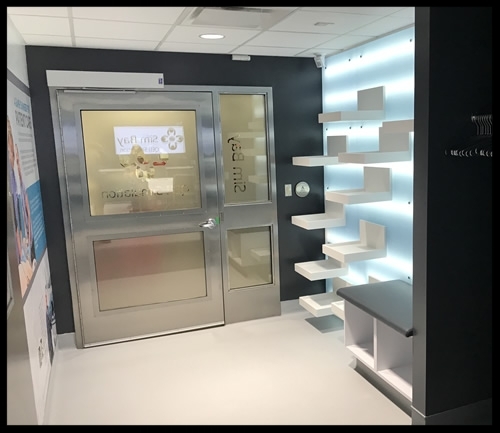 Learners entering here are greeted by a calming backlit Avonite wall with shelving to drop their bags and a coat rack to hang their jackets. From there they enter into the Debrief Room. 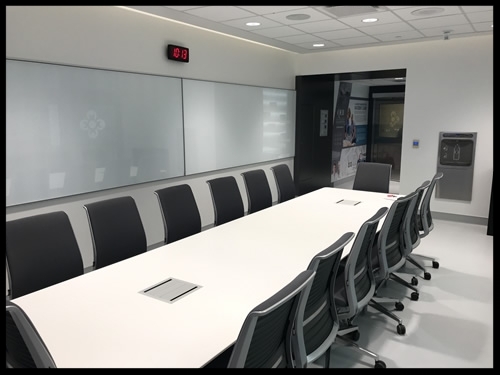 The Debrief Room is where instructors prebrief and debrief simulations or presentations are given. 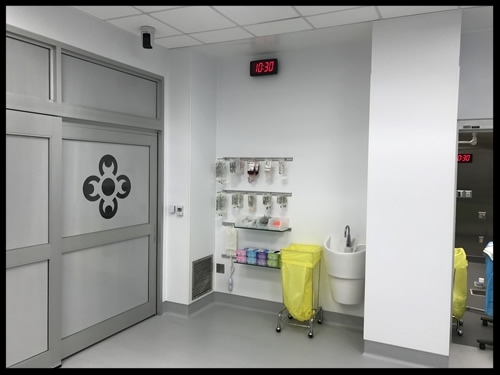 - window wall between the debrief and simulation room with a one-way film so learners can watch simulations they are not participating in, but cant been seen or distract simulation participants. 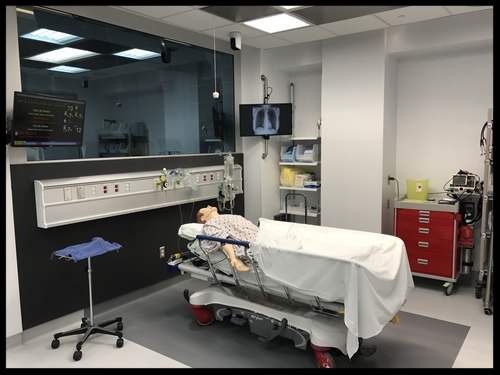 The Simulation Room is where learners preform simulations with our advanced patient simulator (SimMan 3G). The room will be set up to have all the equipment they need for their simulation to be successful. The Control Room is where the technician and educators go to run and observe a simulation. 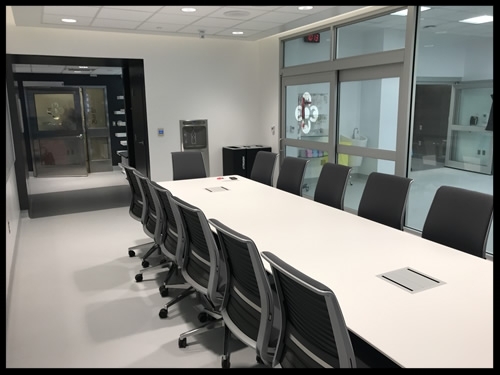 The Cadaveric Lab is where the educators can teach surgical skills in a simulated operating room. 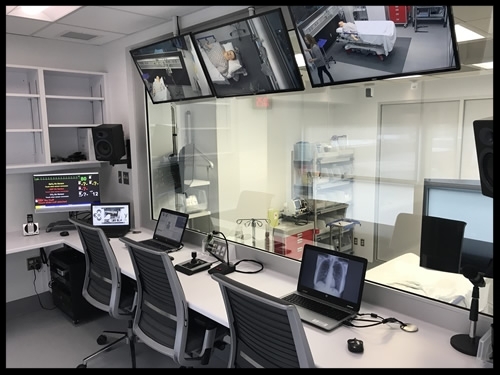 We are lucky enough to have access to Dalhousie Universitie’s Clinical Cadaver Program.